Hi Folks, after a long gap we are back with the Guest Posts on this weblog. Today, we have Kate Morrical who talks about the Top tips for utilizing AutoCAD LT 2011 on the Windows 7 platform. She explains on how a user can leverage the features available in Windows 7 and get the best experience while working on AutoCAD LT 2011. As the Technical Marketing Manager for AutoCAD LT, Kate works closely with the AutoCAD LT Product Development & Marketing teams and with AutoCAD LT users through discussion groups, her blog, and events such as Autodesk University and AUGI CAD Camps. You know that the Windows 7 Professional operating system is designed to meet business needs by delivering better performance, helping you get more done faster, and safeguarding your work. 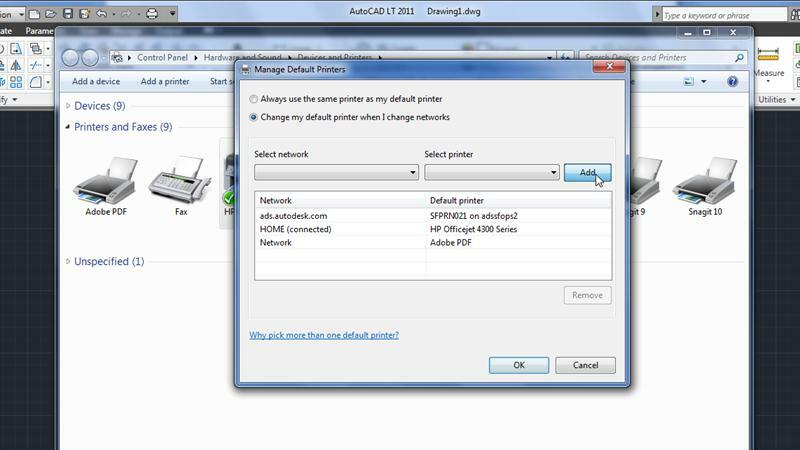 Here are seven tips for using features in Windows 7 to speed up everyday tasks in AutoCAD LT 2011. 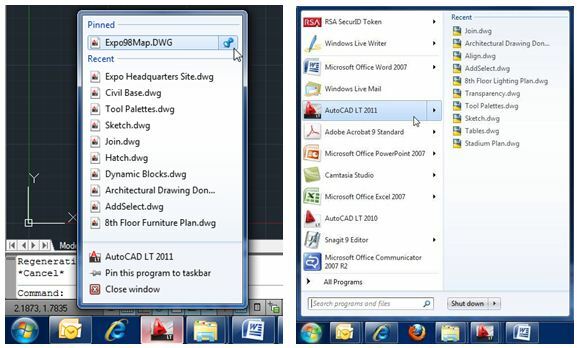 Quickly locate and switch between open AutoCAD LT 2011 drawing files by hovering your cursor over the taskbar icon to display thumbnail images of each open drawing. Switch between drawings by clicking on thumbnails, or use the red X to quickly close a file from the thumbnail. Right-click on a program icon in the taskbar to display a jump list of your ten most recently-opened files. Open an item on the list simply by clicking on it, or drag-and-drop files to attach them to e-mails or copy them to a different folder. Use the pushpin icon to make sure that important files always stay on the list. Jump lists are also available for your frequently-used programs in the Start menu. Use Snap to display two programs side by side on your screen, without overlap, simply by dragging one window to the left of the screen and the other to the right. 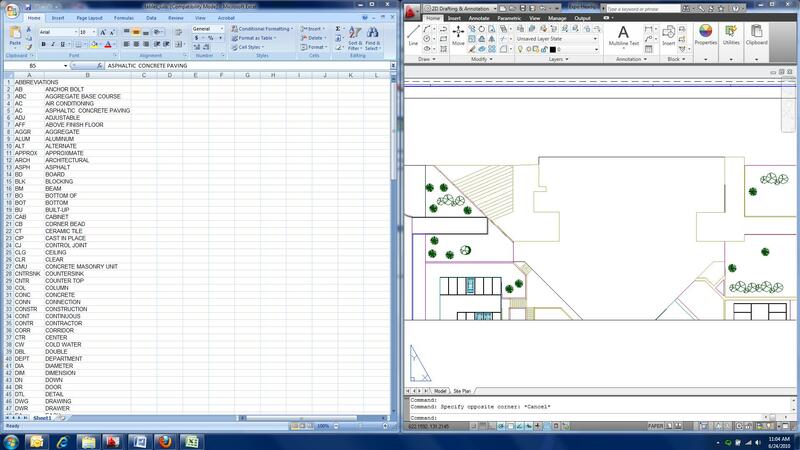 Easily reference your email, spreadsheet, or other program while working in AutoCAD LT 2011. 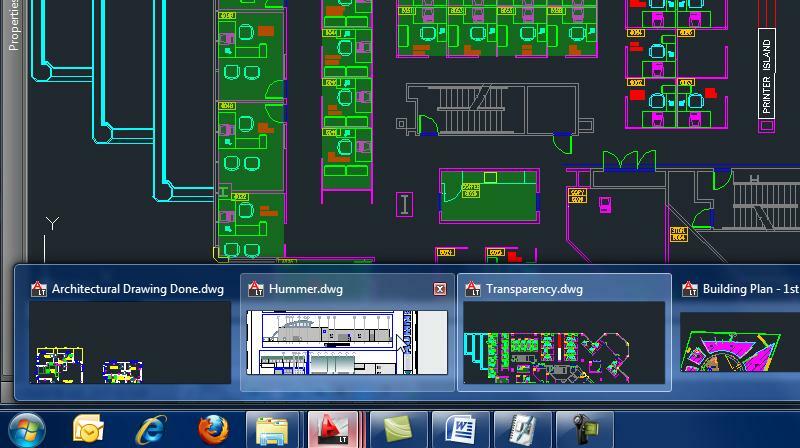 Drag a single program to the top of the screen to have it fill your entire display. Search is faster in Windows 7—libraries and other popular file locations are indexed so results appear as soon as you type in the first few letters of your keyword, whether in the Start menu or in the search box available in every Windows Explorer window. To make your search even more efficient, matching files and folders are grouped by category, and keywords are highlighted to make the list even easier to scan. Filter your results by type, date, size, or author to further narrow your search. No matter how much care you take with your files, accidents can happen—drives can fail, files can become corrupted, and “copy” can even become “delete.” That’s when you need Windows Backup to store copies of your important files on an external drive and update them periodically so they’re as current as possible. When you need to retrieve a file, the Restore function lets you select the entire backup file or specific files and folders. You can even specify whether to restore files to their original location or a new one. Posted in Guest Posts, Microsoft and tagged beginners, guest, Tips, Windows 7. Bookmark the permalink.